Cicinnurus regius is a small, approximately 16 cm long, passerine bird of the Paradisaeidae (Bird-of-paradise) family. The King Bird-of-paradise is distributed throughout lowland forests of New Guinea and nearby islands. 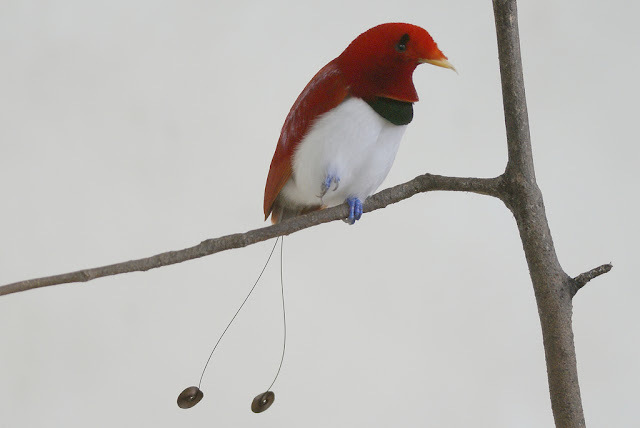 This so-called "living gem" is the smallest and most vividly colored among birds of paradise.